For residents transitioning from their alert system to UC-FirstAlert, please register for a new account and select ‘Scotch Plains’ under the list of municipalities to receive alerts from during the registration process. 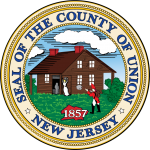 The County of Union has an employee-only internal notification system. Please e-mail websupport@ucnj.org from your County email to request access. If you do not have an employee e-mail, please provide your department and/or division in the body of the e-mail. The County of Union has recently switched vendors for UCFirstAlert. If you previously had an account you will continue to receive alerts without interruption. To regain access to your account, please fill out the form below and we will send you a link to create a new username and password within one business day. If you did not previously have an account, click here to create a new account. The County of Union has recently switched service providers. If you need support in accessing the system, please e-mail websupport@ucnj.org.